This bead is mouth blown on the island of Murano. It is a flattened round shaped, double-layer blown Murano glass bead with an opaque white base layer underneath a layer of transparent topaz glass mixed with aventurina, measuring approximately 25mm in diameter. 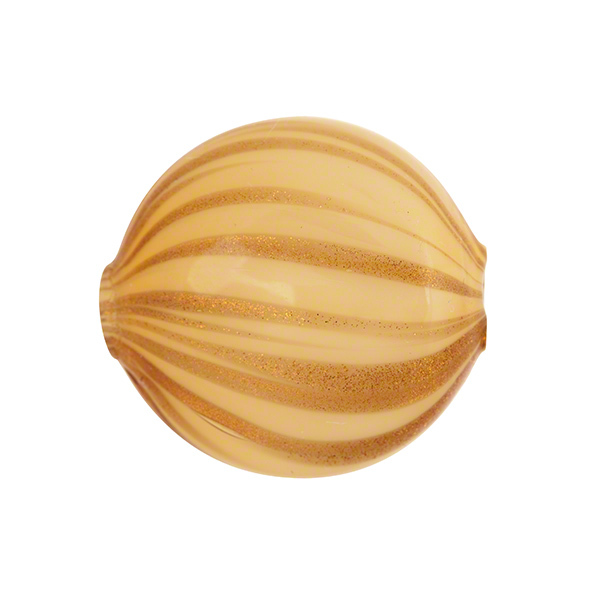 They are like our caramella beads where the white beneath changes the appearance of the colors. The topaz become brighter in the work. They make great earrings. The hole size varies from 1.5 to 2.5mm as they are mouth blown.